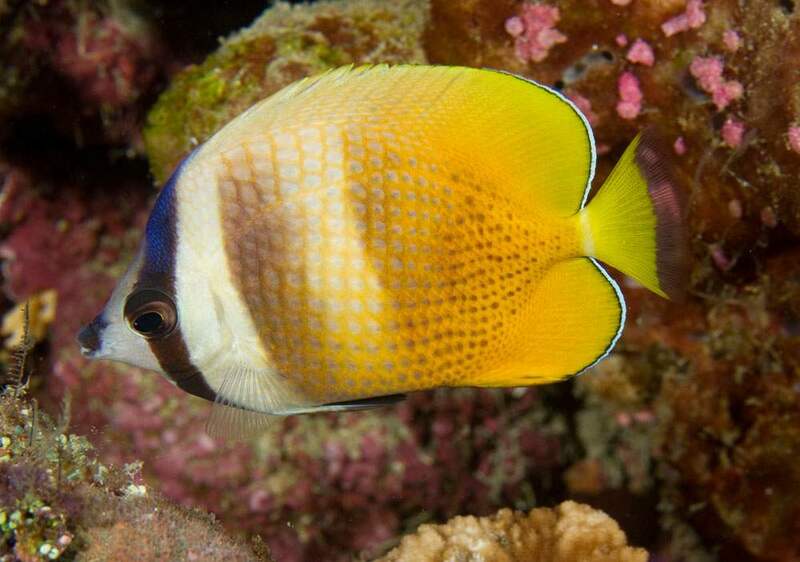 The Orange Butterflyfish, also known as the Sunburst, Brown, Klein’s, Corallicola, or Blacklip Butterflyfish, is primarily golden-yellow. 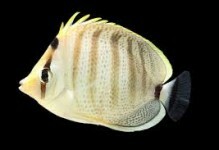 It may have either a black or a black and blue eye band. 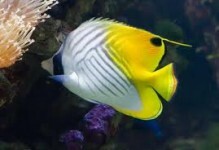 It may be kept in a 120 gallon or larger aquarium with other butterflyfish, including members of its own species, if they were introduced to the tank at the same time. 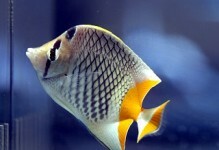 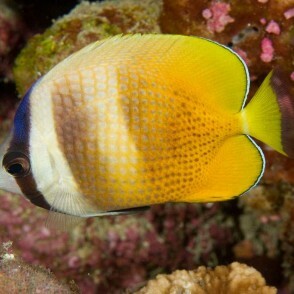 The Orange Butterflyfish may be kept in a reef aquarium, but will eat leather corals and some of the soft corals. 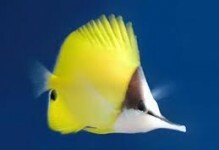 It is an excellent fish for beginners.